Kevin Keegan has vowed never to return to St James’s Park whilst Mike Ashley is Newcastle United owner after launching an explosive attack on the Sports Direct tycoon. Speaking in his new book: My Life In Football, the Magpies great revealed he has no interest in being associated with the club while Ashley’s reign continues. The 67-year-old said he is looking forward to the day Newcastle is free of Ashley, stating he does not want to share the same oxygen as ‘these people’ in what is a ‘self-harm’ tenure from Ashley. Keegan returned for a second spell as United boss in 2008 but left less than eight months in after his relationship with the Toon hierarchy boiled over following the additions of Xisco and Nacho Gonzalez and the departure of James Milner to Aston Villa. He was later awarded £2million for constructive dismissal and has since never returned to management or attended a game at St James’s Park. In his book, which is due to be released on October 4, The Sun report Keegan as writing: “They have made a toy out of Newcastle. Ashley put the club up for sale last year and a takeover is no nearer. And Keegan joins Newcastle fans in hoping he sells up soon. 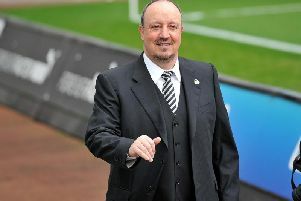 “I look forward to the day when Newcastle is free of the man who has lurched from one bad decision to another, run an empire of self-harm and handed money and power to people who deserved neither,” he wrote. Keegan initially returned to manage Newcastle after Sam Allardyce was sacked by Ashley after just six months in charge. Keegan had famously led Newcastle to the brink of the Premier League title in his first spell in charge of the club.